Ok, so I thought I would come back from my week long snow week to a normal calm week and pick things right back up where we left off. Oh wow I could not have been any more wrong. I walked back into my classroom after an amazing restful week and entered a flooded room that had not been touched at all. I had ceiling tiles about to burst, water was everywhere, things were soaked, and kids were walking in the door in 15 minutes. I wasn't sure if I should panic, cry, clean, or scream. After a quick few seconds of thinking I called an amazing coworker and he agreed to keep my entire class in his room all day! How amazing is he!!! So with a flooded room and no kids, me and my aide and an amazing classroom mom got to work cleaning and tossing and everything else. Let me just say, that smell was so more than we all bargained for. We had to take breaks every 10 minutes to escape the smell. It was awful! We had to toss a ton of my things :( I wanted to cry but I held back the tears (until no one was looking). We were then relocated to a temporary room so we spent the afternoon moving everything we think we would need for the rest of the week into the new room. We are hoping to get back to our classroom tomorrow but the smell is still horrible in there. So needless to say, my lessons did not go exactly as planned due to a day of flooding and then a week of a temporary room but we made the best of it. Actually the kids love the new room and are begging me to move all of our things into and stay here the rest of the year. If only it were that easy I totally would because I love the temporary room too. So much bigger and on a quiet hall and great location. We were in love! We were able to squeeze in some American Symbols lessons this week. They loved all of the projects that we did. I was so sad that we did not get to do anything that I had planned for Presidents but um, yeah, that stuff may not have survived the flood......... Maybe we can do a redo later this year. We are in love with Deanna Jump's Chit Chat packs. Her American Symbols pack was another hit. Made some American Symbols crafts from Deanna's America pack. We started with making the American flag. Then we made bald eagles. I think these are the cutest things ever!!! Everything was made template free. My kids this year are so creative that I have ditched all of the templates and hand them plain sheets of construction paper. I give them a quick how to lesson then let them go and create. They turn out better than I could have ever imagined with a template. Love how they are all so unique! We ended the week with the sweetest goodies from our PTO. They are so amazing and really know how to make your week so much better. We love our wonderful PTO! Next week we will be do all things silly and crazy with that silly cat and Dr. who shall not be named :) So excited for this week. Here is a quick look at what we will be up to. There is so much more I have planned, it just couldn't fit into the template. Check back later for pictures of all of our fun and silly week activities! But until then, come take a peek at our week. 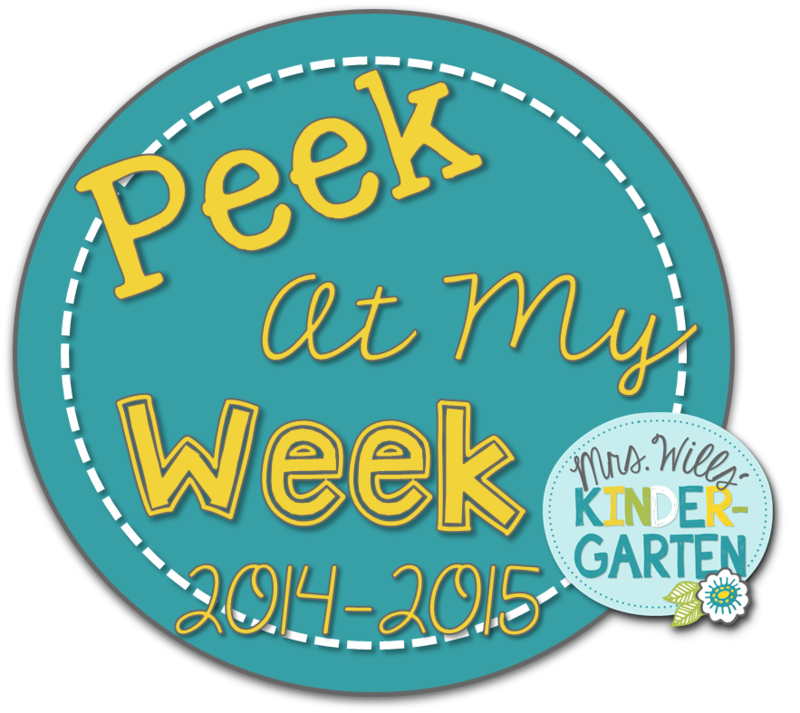 Now head over to DeeDee's blog to see what other teachers are up to this week.